Barclay’s is your Wedding Suits and Tuxedos Headquarters! Do you want your wedding party to be the best dressed around? 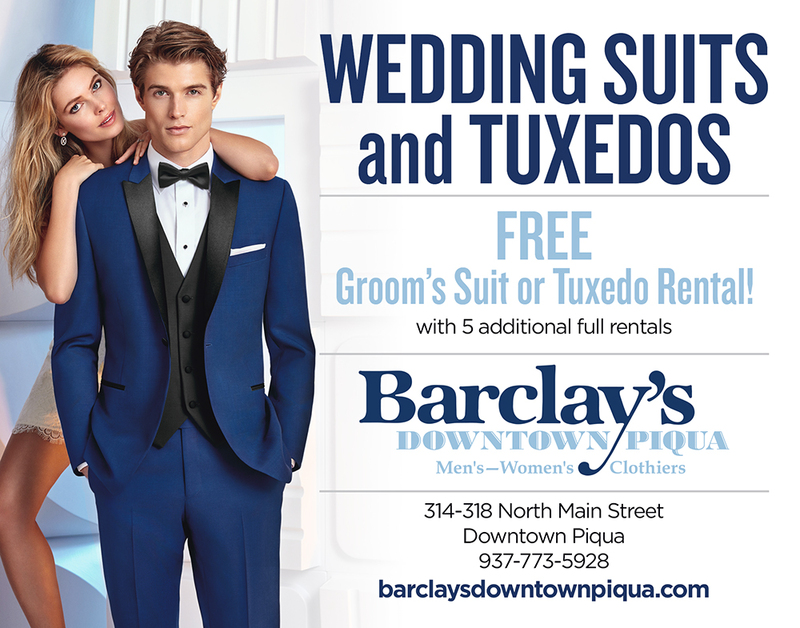 Stop in to Barclay’s in Downtown Piqua today and get decked out with the best suits and tuxedos around! We’ll even throw in a FREE Groom’s Suit or Tuxedo Rental when you rent five!